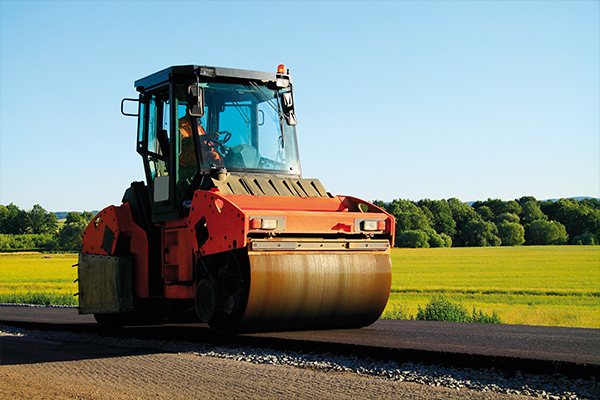 Since the establishment of tyre-derived crumb rubber (CR) as an alternative component for spray sealing binders within the Australian road construction and maintenance sector, the scope for CR usage in the nation’s roads has increased. Victorian based businesses such as Primal Asphalt have utilised CR-based polymer for spray sealing for a number of decades, opting to use tyre-derived product over polymer-modified binders or solutions using more virgin resources. Tyre recycler Tyrecycle has been at the forefront of repurposing end-of-life tyres and turning them into a CR product for almost three decades, and supplies Primal with the CR used in its spray sealing operations. Established in 1992, the business collects more than 110,000 tonnes of end-of-life tyres through processing facilities in each Australian state, converting more than 356,000 truck tyres into CR for roads per year. The company is the largest supplier of recycled rubber to domestic Australian industries including civil engineering, manufacturing and automotive, and its products are often used to replace, enhance or extend the quality of the base virgin materials. Not only is CR being used more broadly in Victoria and other states, but Tyrecycle Product Account Manager Adrian Jones explains that industry is taking on board the notion that an environmentally beneficial product is the key link in achieving a circular economy. “I started in this side of the industry in the early 90s, but the use of CR in spray seal in Australia started with VicRoads back in the 70s. The volume has been growing in the past few years, and the impact we have had from using CR in roads is proving beneficial in helping creating a circular economy,” he says. Likewise, he says, the use of CR in the pavement itself has also increased. “There’s growing acceptance of CR for its benefits in quality and we’re also seeing its use spread more so from a sustainably point of view. “The properties of CR in particular make it a favourable alternative of equal measure to traditional spray seal binders, such as SBS or polymer-modified products, especially when bitumen can be quite expensive,” Adrian says, adding that as more businesses shift their focus to sustainability and closed loop operations, the use of the end-of-life tyres has also increased. Adrian says the wider road construction and maintenance industry is very active in establishing a circular economy for end-of-life tyres and has been pushing for further change. “We’ve been approached by a number of our customers trying to close the loop,” he says, adding that many large contractors are seeking to reduce their carbon footprint through such means. As the use of CR in pavements begins to increase, Adrian asserts that contractors and businesses need to utilise CR products derived from domestically sourced end-of-life tyres. This contributes to the idea of moving towards a circular economy, which boasts numerous environmental benefits for the country as a whole and ensures that Australia’s 51 million end-of-life tyres discarded annually are not stockpiled, which can create extreme fire hazards and environmental issues. According to Tyrecycle, if Australia recycled the 51 million tyres wasted each year, for instance, it would save around 1.69 megatonnes of carbon dioxide emissions. Adrian says the removal of a stockpile of approximately a million tyres from a site in Stawell in October proved a major eye-opener to the issue for the relevant regulatory bodies, with the Environment Protection Authority Victoria (EPA Victoria) leading a coordinated effort to remove the potential fire hazard. “I think Stawell has helped push the message that we need to do something about these stockpiles,” he says. In addition, he explains that the incident has helped shine a light on the potential to reduce such stockpiles by increasing the use of CR products in Australia, particularly those sourced domestically. However, he warns that CR dealers utilising international product may not necessarily have control over the quality of the material either. “Another issue customers face, due to unforeseen circumstances, is that volume required for particular jobs can vary from estimates. “Tyrecycle offers a domestically produced option and the network capability to reach the location where product is required in short time frames,” he says. Tyrecycle not only has facilities in each Australian state, but is transparent in its manufacturing process and invites customers to see its processes first-hand. Clinton Habner, Tyrecycle National Sales Manager, agrees that a key factor in choosing domestic over international-sourced end-of-life tyres is the fact Australia has a desire to ethically and responsibly manage its own waste. The Stawell stockpile, for instance, was a significant enough sign that Australia has stockpiling issues. These stockpiles can be addressed by businesses, such as Tyrecycle, that have the ability to turn this waste stream into a viable product for export or use in pavements. “Since Stawell, EPA Victoria is helping the push to find a market for these end-of-life tyres. The manufacturing capabilities for CR products exist within Australia, so it makes sense to assess how we can increase their use, especially in pavement and spray seals. “The advantage of our facilities is that all aspects of the production process is based in Australia,” Clinton adds. Rather than use any end-of-life tyre, Tyrecycle currently recycles truck tyres into CR. Truck tyres contain higher levels of natural rubber and less fabric, making them more suitable for the kinds of applications the company’s CR product is used for. Clinton says that while the capabilities are present to manufacture CR for a growing market, further regulatory change is still needed. He says Australian states are specifying their own mixes for using CR in roads, particularly spray seals, with various councils and agencies using their own variations. “If we united those specifications, it would be a really big step forward. “There has been significant research already done around CR in roads, and each state has been running their own successful trials,” he says, adding the legwork is already done towards establishing a national specification.